If you have seen the animated shows or films, read the comics or played any of the games, Mobile Police Patlabor needs no introduction. For the rest of you, let me put this in BattleTech terminology. A young Terran policewoman tries out for the new Tokyo Metropolitan Police Special Vehicle Section 2, Division 2 as a police labor pilot. (protomech). She gets in and is assigned one of the two AV-98 Ingrams given to Section Two. Craziness, boredom, action and drama ensue. First released in 1988 by studio Headgear as an Original Video Animation, Mobile Police Patlabor is one of the more ‘realistic’ in the giant robot genre. Not just the technical aspects of the machines and combat but the characters as well. There really aren’t any cookie cutter characters involved in the plot. Everyone has their own strengths and weaknesses, and lots of personality quirks. Despite the giant robot factor, their division is not highly regarded by others in the police unless the Ingram’s are needed. 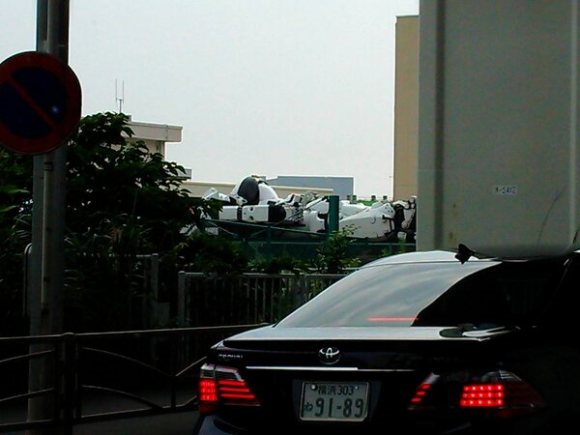 What might a thirty foot tall police robot be useful for, you might ask? Well, everything a basic industrial labor (mecha) can do in emergency situations (accident response, disaster relief) plus the ability to take down stolen or otherwise misused machines. 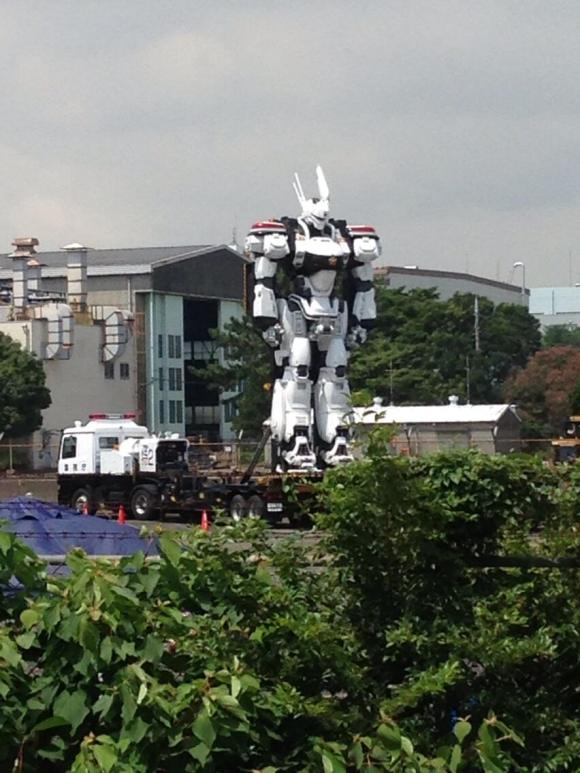 According to the Patlabor Wiki, the Ingram is 8 meters tall, about six metric tons, is powered by fuel cell (labors are quite capable of running out of juice at the worst time), armored with a type of composite plastic, and is usually armed with a riot shield, stun baton (mech taser) and a 37mm revolver cannon that looks identical to an old police issue Smith & Wesson (jacked up light rifle?). 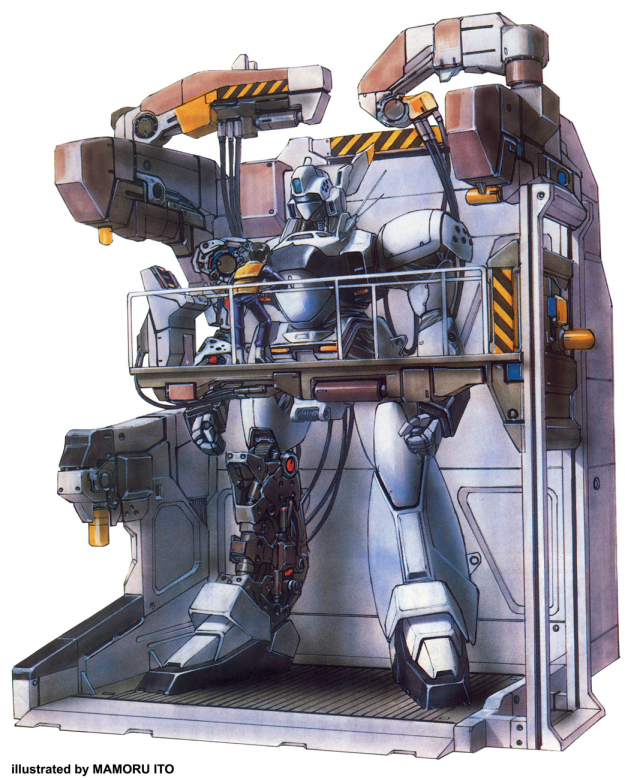 Additional (modular) armor can be installed and a 90mm pump action shotgun can be carried (jacked up LBX-5?) as well. The SWAT team just got upstaged… BIG time. Not much is known as yet other than its release some time in 2014. But as a big fan of practical effects, I love that someone has gone to the trouble to build at least one of these police mechs, as well as outfitted a carrier for it. The carrier is a modified transport truck that carries the labor to where the trouble is (barring traffic jams), lifts it up to where it can step off, and goes to kick some can. The carrier also carries backup fuel cells and allows for rudimentary repairs in the field. The fuel on a labor is quite limited, and can’t be wasted getting to the problem unsupported. As a fan from the 90s I about flew out of my shoes when I saw some live action shots of the Ingram. Just five more minutes, mom. Ready to go whomp some ‘bots. Source, IT Media via Rocket News 24. This entry was posted in News on 2013/08/25 by Ron.